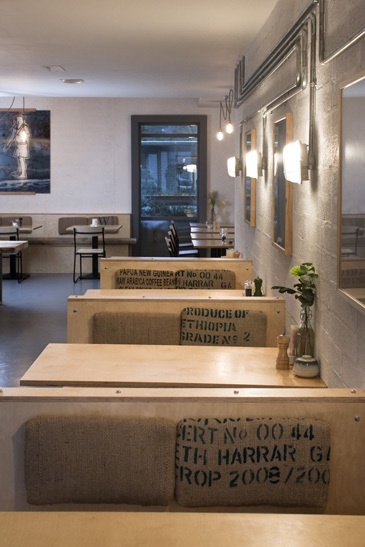 The design strategy for Urbun was to engage the café with the passer-by by locating the kitchen in the shop window; pedestrians get a full day’s show as the chefs bake bread and cakes and prepare salads, soups and sandwiches. The dining area runs the full depth of the unit taking light and views from both the public street to the front and the development’s garden to the rear. 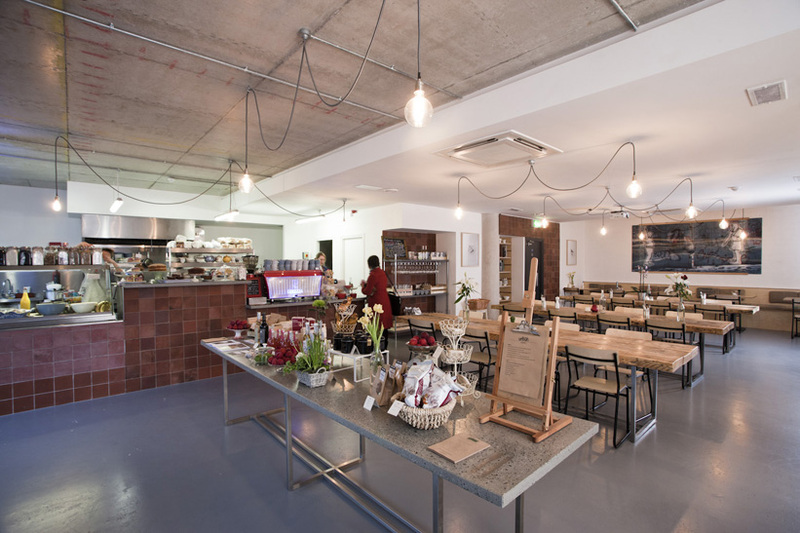 The Cabinteely village café is located in Irelands first ‘A’ energy rated apartment building, and taps into this ethos with a simply finished unit using simple materials, for aesthetic and economy, in addition to using the ‘found’ unfinished walls wherever possible. The unit’s existing concrete block work walls were cleaned down and painted and the existing in-situ cast concrete ceiling was left exposed. 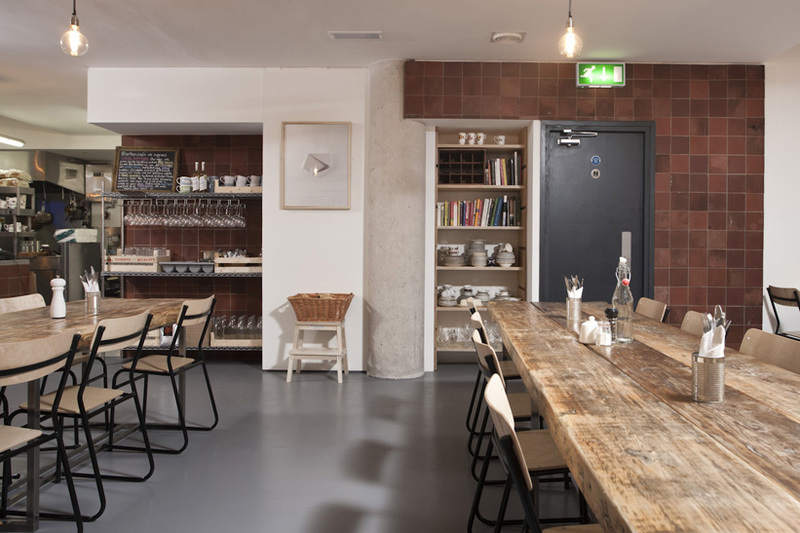 The table-tops and terracotta tiles were sourced in local salvage yards. 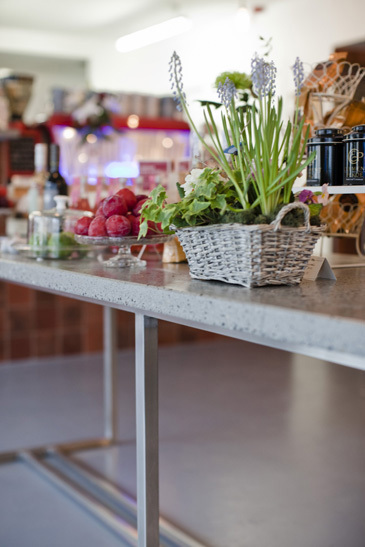 The former were combined with bespoke square section stainless steel bases to form ‘canteen’ style bench tables while the latter were used on both floor and wall to define the kitchen and service areas. 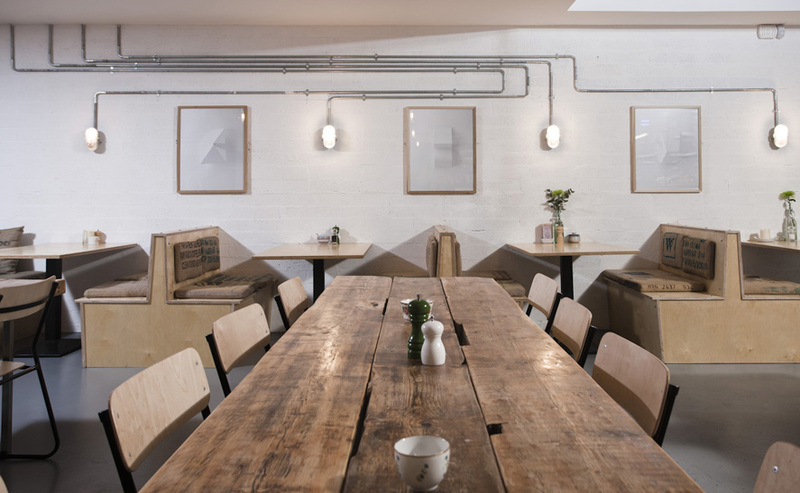 The feature wall used standard bullnose external light fittings sourced in a local hardware store and reused as interior lights. 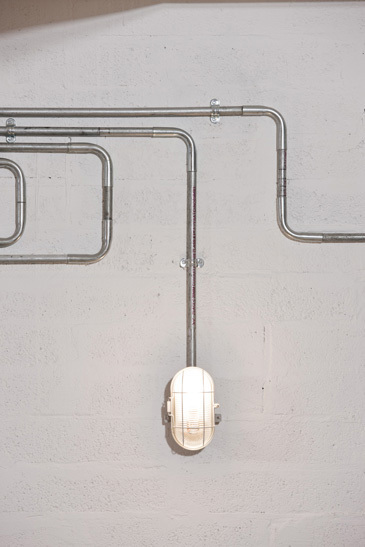 Standard steel conduit is folded into a feature pattern on the wall to house the lights’ cabling. 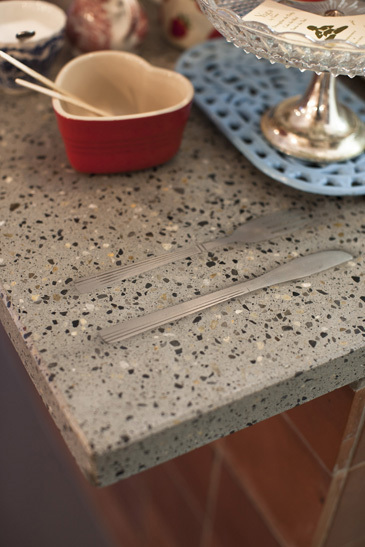 The kitchen counter and display table are made of polished concrete, in natural colour and regular aggregate, and include polished insets of 3 sets of cutlery which were included during the casting process.